The Bowling Club meets each Monday evening at 7.45pm in the Stuart Hall from September through to March. 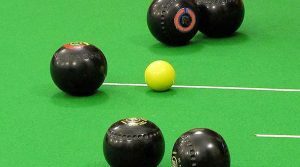 It is an organisation for both men and ladies of any age group who want to have an evening of fellowship with others while enjoying a few games of bowls. It’s a bit of exercise along with friendly banter and a “thought for the day”. We would encourage anyone who would like to learn a new skill (or even refresh an old one) to come along. You certainly don’t need to know how to play or be of a ‘good standard’. We take anyone ! Why not come along and give us a try or contact Laurence Carlisle if you want more information.